The book world has changed enormously since my children’s book, Leprechaun Cake & Other Tales, was published. Yes, I had to do school visits and storytellings, but most of the promoting was done by my small press publisher. The Vegetarian Resource Group secured reviews and in-person interviews, placed ads in print publications, and listed the book in their printed catalog. Brick and mortar stores, both independents and chains, carried the paperback and royalty checks were issued when sales were good. Nowadays, authors with small press publishers are often responsible for securing their own interviews and reviews. And those interviews are usually done via the internet, whether later published on a blog or offered as a podcast. Advertisements in print publications have been replaced by book trailers on YouTube, online ads, and excerpts read on a computer screen. Online book stores have grabbed a huge share of the book market, and if profits are realized, an online deposit is made in an author’s electronic account. So what’s an author to do? 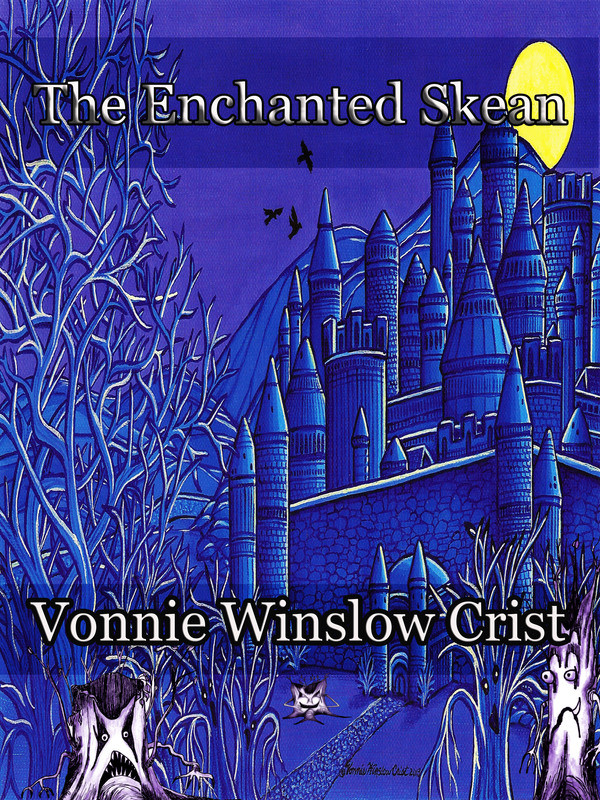 I say, “Embrace the changes and learn the new world of books!” And that’s what I’m trying to do with The Enchanted Skean, my just-released fantasy novel from Mockingbird Lane Press. For better or worse, the book world is changing, and this writer is trying her best to take advantage of the new technologies and the wide support network offered by the internet. So please check out the following, and let me know what you think. And giving credit where credit is do, thanks to Alesha and Larry for doing the interviews, Jamie at Mockingbird Lane Press for the book trailer, and the readers who’ve bought the book. It takes lots of support to become a successful author, and I appreciate all the support I’ve received. Networking, that ambiguous term that means a friendly chat that may or may not result in a career opportunity, works. I’ll give you a few examples to prove my point. About 10 years ago, I was selling my books at the now non-existent Bel Air (MD) Book Festival on a sweltering day that ended in a cloud-burst. A woman looked at my illustration & book display, asked for contact information, and said she was thinking about starting a magazine. I smiled, chatted with her briefly, handed her my number, and never gave the conversation a 2nd thought. Several years later, I got a call from that woman, Fran Johnson, who was now editor/publisher of Harford’s Heart Magazine, and she offered me the chance to write the magazine’s book review column. And how I even came to be at that book festival is another tale of a friend of a friend suggesting the festival organizer contact me. Nearly 30 years ago (yikes, I’m dating myself here), I was standing next to a woman in an aerobics dance class and she was complaining about the illustrator she was using for a cookbook she’d written. I said I could do the job. She asked to see samples. And that was the start of not only a multiple-book working relationship with Bobbie Hinman & Prima Publishing, but the opening of a door that led me to The Vegetarian Resource Group. 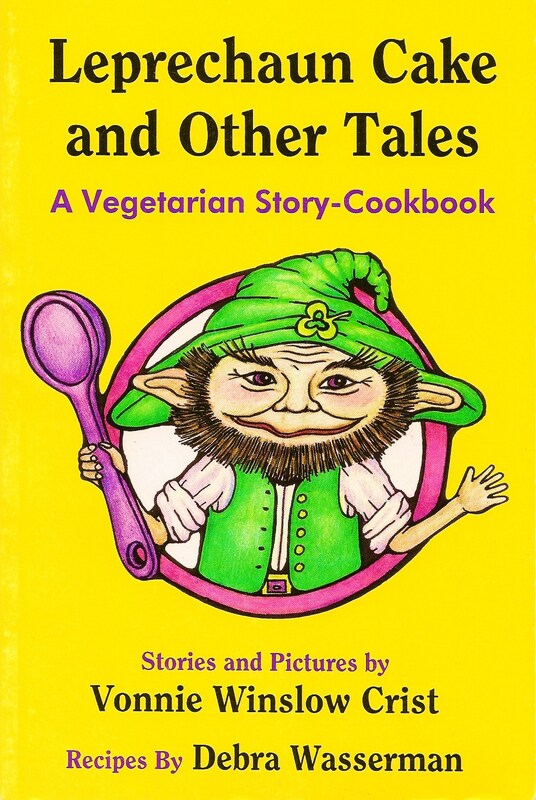 And in addition to doing design & illustration work for VRG books and pamphlets, I’ve been illustrating The Vegetarian Journal for 25 years now. Perhaps most importantly, my children’s book, Leprechaun Cake & Other Tales, was published by the VRG. In 2009, as President of the Maryland State National League of American Pen Women, I was putting together an Arts Day. I needed women editors for a literary panel. Fran (see above) was busy, but I called a few women I knew who edited literary magazines and a friend who was working for an e-publisher, and had a wonderful group of women for the panel. (All of whom I met through networking). But I still needed a woman editor from a commercial publication to round-out the panel. I looked at the magazines on my shelf, and with little hope of a “Yes,” called Kim Cross of Faerie Magazine. To my delight, Kim agreed to come to the Arts Day and participate on the Women Editors panel. We amicably chatted that day, and have since developed a friendly relationship. 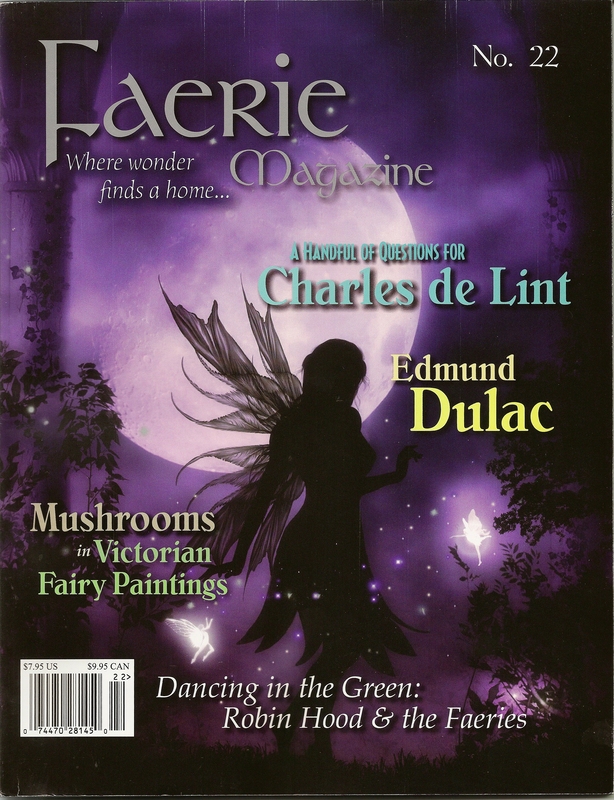 And because of that networking opportunity, I’ve contributed both fiction and nonfiction to Faerie Magazine. Would any of these things have happened without networking? Maybe. But I think writers, illustrators, and anyone looking to expand their professional opportunities need to keep their eyes and ears open to networking possibilities. You never know who might be next to you in line at the grocery store or where that conversation at a meeting might lead.